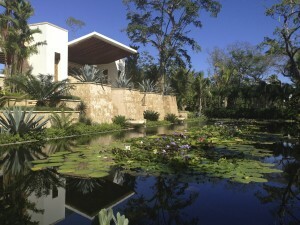 I’ve just returned from a relaxing and luxurious weekend at Dorado Beach, A Ritz-Carlton Reserve in Puerto Rico. This 115 room, 1,400 acre resort is absolutely unique to the Caribbean and definitely worth a visit. You can view all of my photos on Flickr. Dorado Beach has so much to offer for a variety of vacationers. While I was wandering the grounds, I could imagine beautiful, private wedding ceremonies, big and boisterous family reunions, romantic honeymoons or anniversary celebrations, and relaxing girls getaways all at once. On top of all of that, Puerto Rico is one of the easiest destinations to fly to from the US (especially the east coast, Atlanta, and Texas) If you are looking for a great luxury destination in the Caribbean, this is it! Facilities Include two full gyms, Jean-Michel Cousteau’s Ambassadors of the Environment activity center, 4 golf courses, a beach club, a 5-acre Spa, a restaurant by celebrity chef Jose Andres, a lazy river, and so much more! Imagine a boutique hotel on a grand property with prime ocean views and access; add in a touch of organic whimsy and barefoot chic decor and you’re there! All room categories feature ocean views, private outdoor space, and indoor/outdoor showers. The entry-level rooms, Ocean Reserve, are all on the second level with balconies. The next level, Garden Reserve, are on the ground floor. My favorite category is the Plunge Reserve featuring private infinity plunge pools. The plunge reserve rooms are the best option for romantic getaways. The ground floor suites feature larger private pools and are great for families with pull-out sofabeds and connecting room options. The best views are from the rooftop Tranquility Suites, which are all located on the second level featuring private balconies and rooftop plunge pools. The Ritz-Carlton Reserve is all about personal attention and experiences; they are taking the signature Ritz-Carlton service to a whole new level. 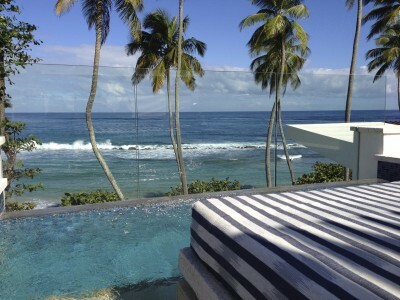 Dorado Beach will redefine luxury in the Caribbean. As a STARS agent, I can offer special amenities to my clients staying at Dorado Beach, A Ritz-Carlton Reserve including breakfast, potential upgrades, and VIP treatment. If you are looking for a luxury Caribbean escape, look no further! Contact me for rates and details. Announcing the New Ritz-Carlton Aruba! 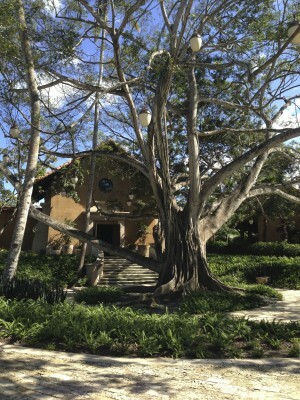 This entry was posted in Beaches, Hotel Reviews and tagged Caribbean, dorado beach, hotel review, Puerto Rico, Ritz-Carlton, romantic destination. Bookmark the permalink.